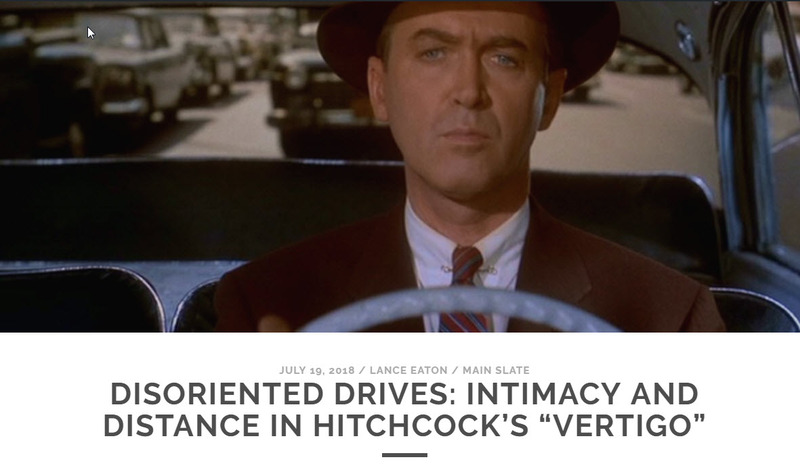 "Vertigo (1958) remains the top contender for the best film of Hitchcock’s impressive oeuvre. In the film, John “Scottie” Ferguson (Jimmy Stewart) suffers from vertigo after pursuing a robber over rooftops and plummeting nearly to his death. After his near-fatal accident, he is hired to investigate Madeline (Kim Novak), the wife of an old college friend, who is acting strange, almost possessed. As Ferguson pursues Madeline, he not only saves her from drowning, but ultimately falls in love with her. But his vertigo prevents him from saving her life a second time when she appears to throw herself from a church tower. The second half of the film follows Ferguson as he recovers from a mental breakdown and meets Judy, a woman with such a striking resemblance to Madeline (Judy is also played by Kim Novak) that Ferguson becomes obsessed and remakes her in Madeline’s image. Despite the titular diagnosis, Ferguson experiences vertigo just a few times during the course of the film. Instead, the film fixates on orientation: focusing, following, and driving. In fact, driving scenes make up 13 minutes (or over 1/10th) of the 128-minute film." Keep on reading on the Brattle's blog!